Greetings, I LOVE your website, philosophy and energy! Join us down in Ocean Shores for fresh razor clams and wine! Yumm! The Ocean Shores Razor Clam and Seafood Festival is the celebration of local beach life, culture and the great bounty of the sea featuring our famous razor clam “digs.” The Festival offers activities for the entire family whether you come to go clamming, to enjoy the 6 miles of beach or the amazing array of fun and activities in the beach town businesses and Festival. The Festival is growing and expanding this year – check their website, grab a program or just start looking around as you come into town! 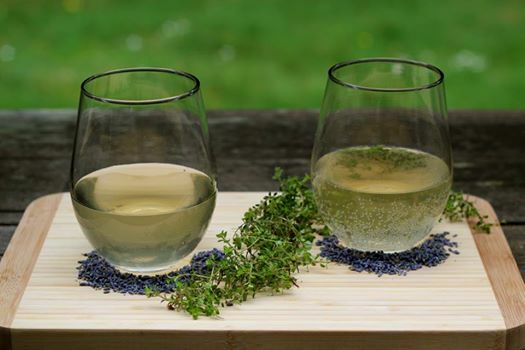 From newly released wines and ciders to locally-made artisan cheeses, the Olympic Peninsula Wineries’ Wine, Cider & Cheese Tour will treat your taste buds to a realm of seasonal delights! Nine wineries and cideries located from Port Angeles to Sequim to Port Townsend to Chimacum to Marrowstone Island will partner with various creameries to create unique pairings that signify the flavors of the region, complemented by tasty tidbits prepared by local culinary talent. This savory event will take place on Saturday, April 27th and Sunday, April 28th from 11:00 am – 5:00 pm. Wine specials will be available throughout the weekend to get the season rolling. The ticket and glass package entitles you to a special commemorative wine glass, wine tasting at all nine OPW Wineries and delectable samples of cheese at each winery during the NW Wine & Cheese Weekend. This event does not take place at one location. You travel from winery to winery, visiting the ones you are interested in exploring. Tickets are not required to attend this event. A $10 wine tasting fee will be charged at each winery for non-ticketed visitors. The Olympic Peninsula Wineries encourage responsible wine touring and recommend that you have a designated driver in your group. Lavender Weekend at Olympic Cellars, taste our fresh, new wine releases. Wine tasting is available daily. The Tasting Room is open 11-6 daily. At 6:00 the Tasting Room will close and the concert doors open. The Barn will rock and roll with the return one of our favorites, the Fat Chance Band. Tickets are available at the winery or on-line at Brown Paper Tickets for $13 in advance. After 3 pm on the day of the show tickets are available at the door when the door opens at 6pm for $15. The band starts at 7:00. Tickets are required for children 13 and older. Every summer, each of our concerts benefits a different non-profit. This week’s non-profit group is PEO IV. We’re proud of what we’ve all accomplished over the past few years, raising more than $125,000 for our Olympic Peninsula Community. Let’s make this season the biggest and the best. Join us Saturday. Let’s blow it out and support a great charity! • Doors open at 6 p.m. Band starts at 7 p.m. Alcohol may not be consumed while waiting in line. • We have tables and chairs but do not reserve them. They’re the first to go. • Great bands equate to lots of dancing. We reserved the spaced under the patio in front of the band for dancing. That’s why there is no seating there. • You can bring in food and non-alcoholic beverages only. It is against the law for you to bring in your own alcohol. No smoking, vaping or marijuana are allowed. • There will be a food vendor on-site. • All of these concerts are staffed by volunteers from the non-profit of the week. Come out and experience World Class Wines and Spectacular Seafood at the Port Angeles Waterfront! Join us at the Crab Festival where you’ll have the opportunity to enjoy a glass or two of Olympic Cellars wine selected to pair with our local seafood. For a full selection of our wines, stop by the winery – open 11-6 daily. The 17th Dungeness Crab & Seafood Festival is the annual celebration of the North Olympic Peninsula’s diverse bounty. Celebrate our featured crustacean, the world-famous Dungeness crab, with thousands of visitors from around the world. Join the fun at CrabFest, one of the most acclaimed food festivals in the country! The festival celebrates not only the aquaculture, agriculture and maritime traditions of the breathtaking Olympic Peninsula, but brings food, art, music, Native American activities, and children’s events into one spectacular 3-day event for everyone! Located on the gorgeous Port Angeles waterfront next to Olympic National Park and a short ferry ride from sparkling Victoria, British Columbia, Canada, the event celebrates the world-famous Dungeness Crab, named after the nearby village of Dungeness, and the bounty of the sea. Featuring 14 restaurants,cooking demonstrations with celebrity chefs, Chowder Cook-Off, the Grab-a-Crab Derby, local wine and beer, craft and merchant vendors, live music, and many more events. Rain or shine, this is the “party” of the season and, admission, as always, is FREE! Sip, savor and enjoy artisan wine, cider and food pairings along with the stunning colors of fall during the Olympic Peninsula Wineries’ Harvest Wine Tour. Visit ten wineries/cideries located on the Olympic Peninsula. This time of year, the sun slants lower on the horizon, misty afternoons pull the world into soft focus and crispness in the air calls for red wine and delicious sweet and savory treats. We welcome you to celebrate the harvest with a new wine release; Our 2014 Zinfandel is a delicious and rare 100% Washington State Zinfandel. You will enjoy vivid aromas of blackberry, strawberry, hints of sandalwood and vanilla. The lush, full palate is full of the flavors of juicy plum, sun-kissed raisin, spice and balanced acids. We also announce the release of our new vintage of Dungeness Red, 2016. Both are perfect wines for the holidays. A wide variety of other wines will be available to choose from, including Cranberry Jubilee wine and warm, spiced Dungeness Red which creates a wonderful holiday mood. Pair the warm, spiced Dungeness Red with cranberry shortbread bites and be prepared to enjoy an adult PB&J created with Elliot’s Adult Nut Butters and a selection of fruit spreads. Tour tickets are $35.00 (plus a service fee) or $40.00 at the door of each winery. A commemorative wine glass, wine tasting and food pairings are included in the ticket price. Visitors without tour tickets will be charged a $10.00 tasting fee at each winery. Children are permitted in the tasting rooms, however visitors must be 21 years old to purchase a ticket and participate in wine tasting. The following wineries and cideries are participating on the self-guided tour. For more information, visit www.olympicpeninsulawineries.org. Both wines are made in limited quantities. We are excited to have ‘We Do Fudge’ of Sequim back on-site pairing the perfect fudge flavors with our wines. A scrumptious red wine perfectly paired with just the right chocolate can bring out the romantic in anyone. The Olympic Peninsula Wineries will take that perfect pairing to another level this year, bringing together new release varietals and blends created with premium Washington grapes and decadent chocolate delights that will make you a better wine lover! Don’t miss the Red Wine & Chocolate Tour, which will take place over two delicious weekends, Feb. 9th & 10th and 16th, 17th, & 18th from 11 a.m. – 5 p.m. Enjoy a leisurely drive through the scenic Peninsula towns of Chimacum, Nordland (Marrowstone Island), Port Townsend, Sequim and Port Angeles where NINE artisan wineries will delight your senses! Ticket and glass package entitles you to a special commemorative wine glass, wine tasting and chocolate samples at all nine OPW Wineries. Online tickets are $40, and remaining tickets will be sold for $45 at participating wineries, on a first come basis, during the Red Wine and Chocolate Tour. This event does not take place at one location. You travel from winery to winery, visiting the ones you are interested in exploring. Tickets are not required to attend this event. A $10 wine tasting fee will be charged at each winery for non-ticketed visitors. You must be 21 or over to purchase tickets and/or participate in wine tasting. All ticket sales are non-refundable. Visit www.olympicpeninsulawineries.org for further information. Join us for our 15th annual International Women’s Day celebration on Wednesday, March 6th at 6:00pm. International Women’s Day is a global celebration of the economic, political and social achievements of women, past, present and future. Show your support by joining Womanfest for dinner. A smorgasbord of delicious homemade soups, fresh bread and cookies will be provided. No-host wine will also be available, and good cheer and conversation is always on the menu. Everyone is welcome to attend. This year we will be fundraising for two Non-Profit groups. Suggested donation is $10 per person. Womanfest is a Port Angeles-based charitable organization that sponsors programs, workshops, lectures, concerts and other community events. It has provided women of the North Olympic Peninsula with empowering experiences and friendships for more than 30 years. Womanfest also provides financial support for women-centered projects, including annual donations to woman-focused causes and scholarships. The Womanfest scholarship committee is particularly interested in receiving scholarship applications from mature women who require financial assistance to realize mid-life or transitional educational goals. For more information about International Women’s Day, visit the official IWD website: www.internationalwomensday.com. For more information, contact Molly Rivard at Olympic Cellars, 360-452-0160 or molly@olympiccellars.com. For information about Womanfest or September’s Womanfest retreat, visit www.womanfest.org. La Dolce Vida, Dungeness and Working Girl Wines are registered trademarks of Olympic Cellars Winery. Copyright 2003-2012 Olympic Cellars Winery all rights reserved.